Artemis villa is part of a villa complex (Amygdalia villas) at the sides of the hills in Livadia village just 300 meters from the sea overlook the endless blue of the Mediterranean Sea at the island of Crete, Chania. 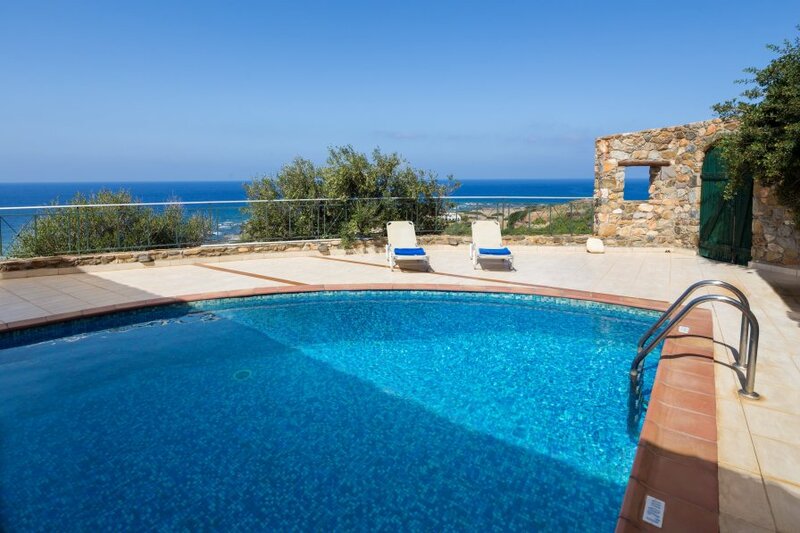 The unique construction of the stone built villa of an architecture design which dates a century ago located in the rugged Cretan nature in relation to the blue horizon of the Mediterranean Sea. Combined with the most spectacular picture of a must destination for those seeking tranquility in a luxurious environment. Incredible surroundings and views with an ambiance of colors as well as the aroma of herbs and flowers of Cretan nature mixed with the exceptional architecture enlist Amygdalia villas into the first category of the most majestic selection of villas in West Crete Chania. The house is 120 sqm and has 2 pools. Next to the pool there is a BBQ area and sunbeds. The living room has comfortable sofas, satellite TV, air condition and internet WIFI. The kitchen is fully equipped with a large wooden table. The house can accommodate up to 5 people in its one double bedroom and one twin bedroom with 2 ensuite bathrooms with jacuzzi (the extra person sleeps on a sofa). The staff of Amygdalia Villas are always willing to serve you. Mini or daily cruises can be arranged on request to nearby beaches, most of them inaccessible by other means of transport. Nearby there is a restaurant, a bar and a mini market. Popular activities in the area include water sports, riding, basketball, diving and fishing.